MediMatic offers a vendor neutral Holter workflow solution for your cardiology department, providing a fully automated digital workflow. 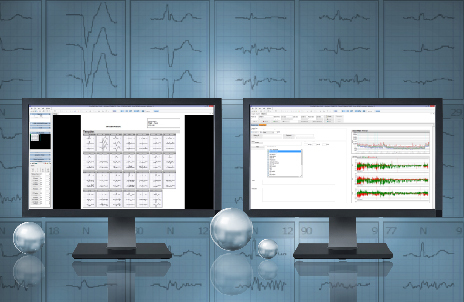 Through a bi-directional integration with the HIS/EMR system, ComPACS facilitates worklist distribution, archiving and review, enabling Holter reports from the device to be automatically available in the hospital’s electronic patient record. Integration with the Hospital Order Entry system will provide Modality Worklist distribution to the Holter Unit, allowing the operator to easily set up and start the case. ComPACS open architecture allows the integration of different Holter devices from various vendors and different custom output formats, including Mortara's Holter DICOM output. The Holter report is securely stored in the ComPACS archive as a DICOM embedded PDF document. Streamlines workflow by enabling physicians to view and sign reports from the hospital, office or home. Confirmed and electronically signed reports can be automatically routed directly to the HIS/EMR, making the report directly available in the electronic patient journal as a document.